Easy smocking, 2 smocking designs included. Sweet day dress w/smocking on either side of the center front placket. 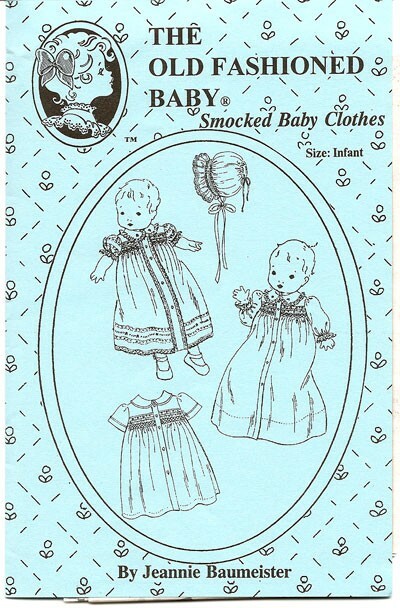 3 sleeve variations & a smocked bonnet included. Variations for boy or girl.